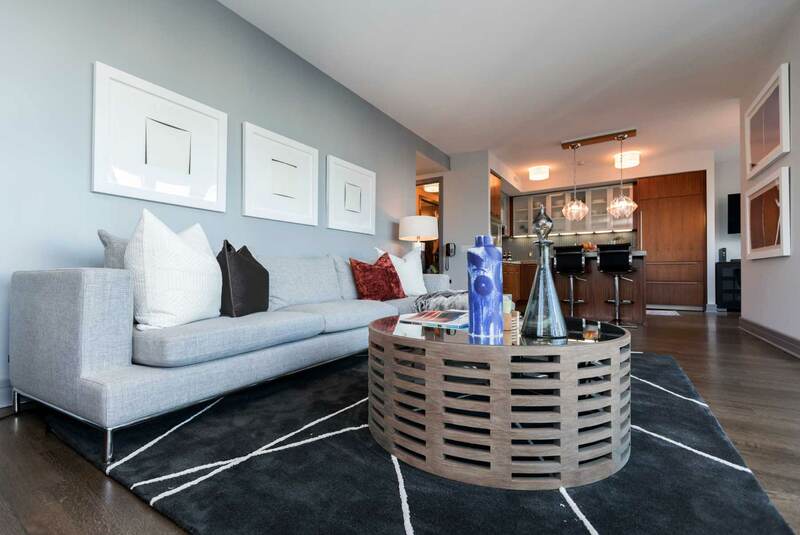 This contemporary interior created by Henck Design boasts a modern glamour that holds up the the Ritz-Carlton Name. 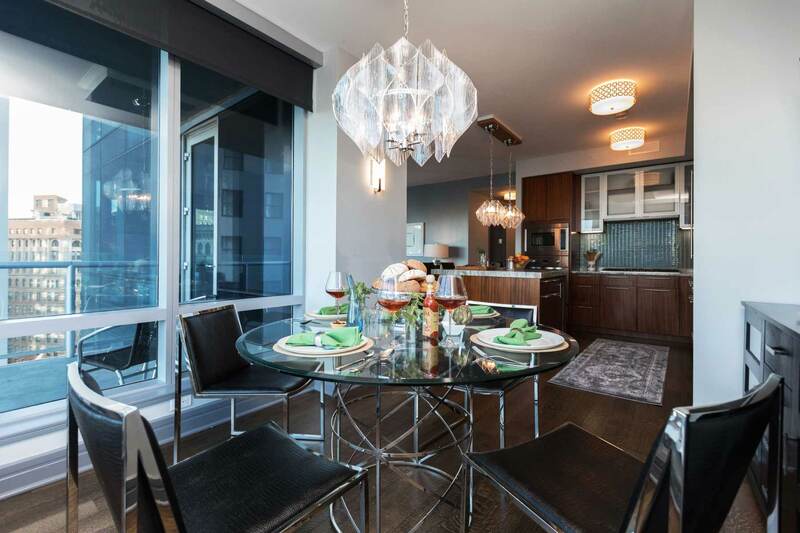 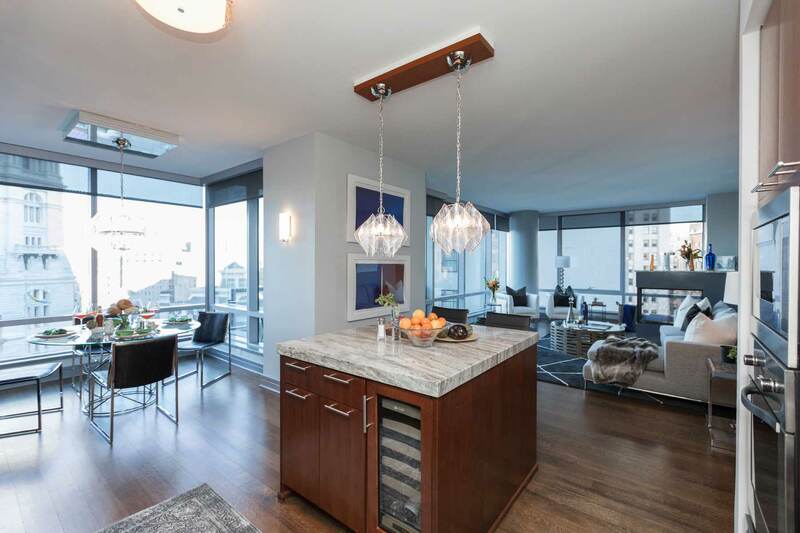 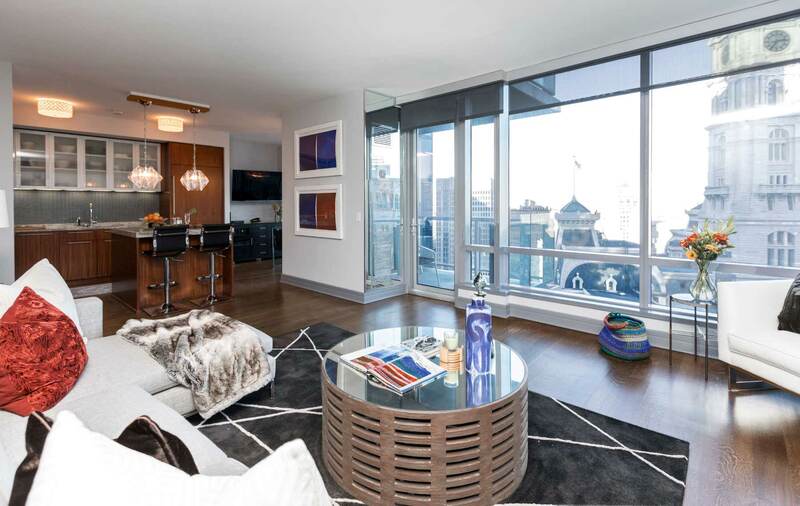 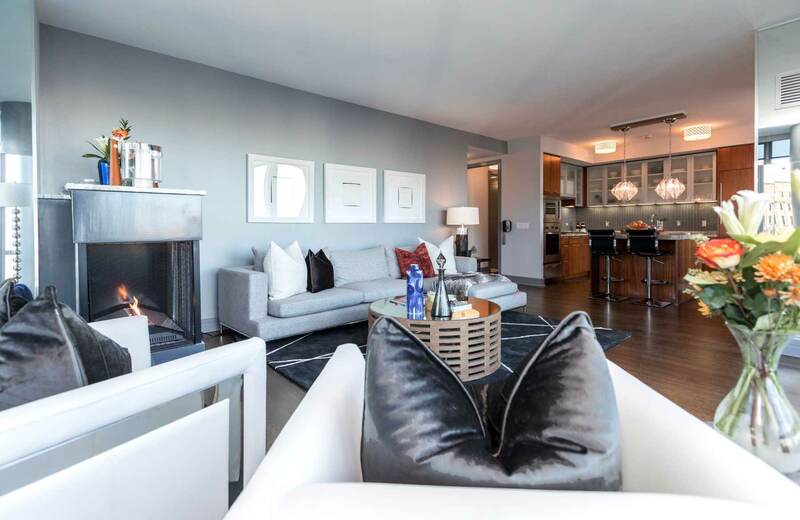 The spacious unit is on the 21st floor of one of the most fashionable buildings in Philadelphia, The Ritz Residences. 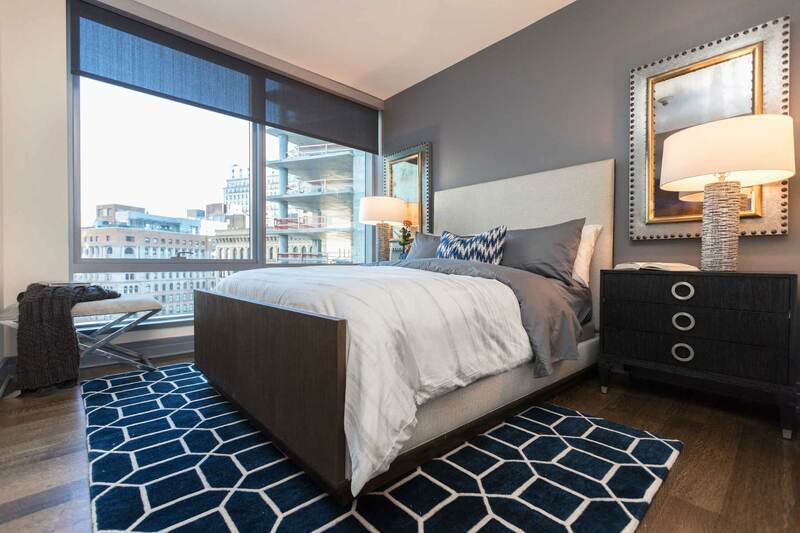 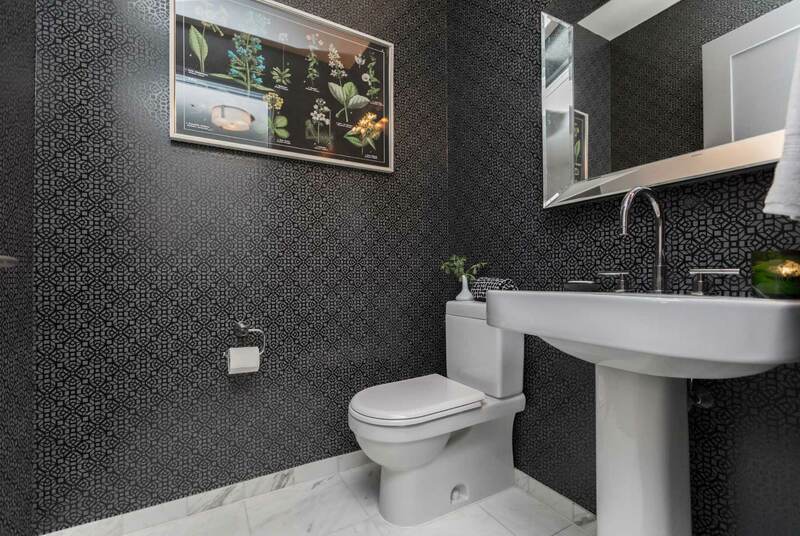 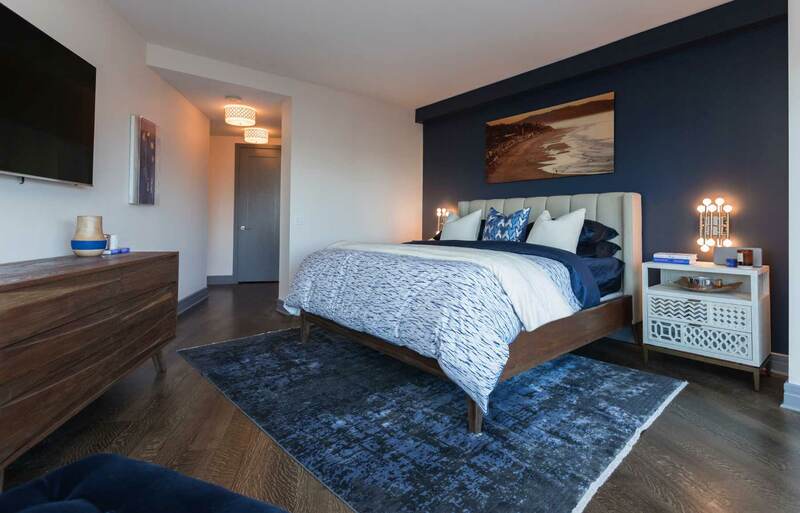 The 2,000 square foot, three-bedroom, four-bath condo has views that face the iconic and beloved landmark, Billy Penn’s statue, just a few hundred feet away atop City Hall. 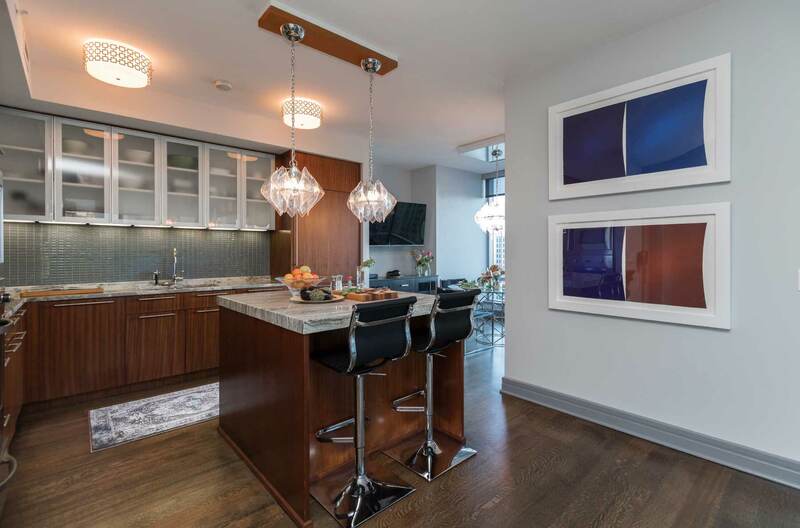 Views of Dillworth Plaza are mimicked in original fine art from a nearby gallery, and the design elements repeat the building’s architecture and embrace characteristics like the floor-to-ceiling glass curtain walls throughout the home. 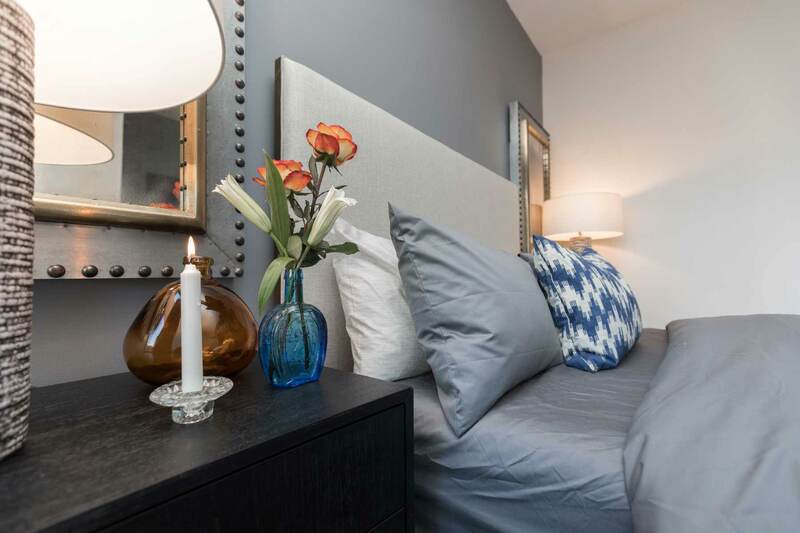 Indigo blues and warm copper tones are echoed in every space to create unity while chrome details and fresh white leather make a frequent appearance. 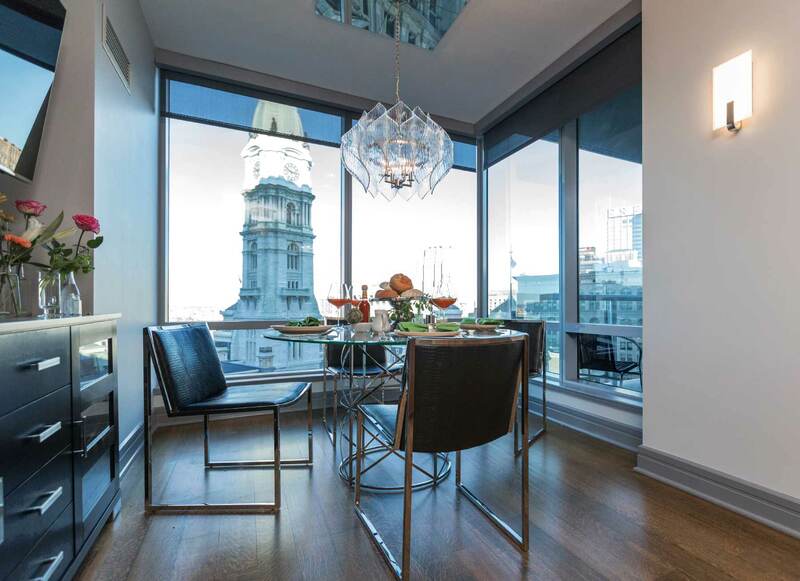 Christina Henck, owner of Henck Design said “ This Ritz Residences job was all about creating a multi-functional, cohesive space for our ‘home away from home’ clients.” Their primary home is in Denver Colorado, and they recently purchased this luxurious condo to be their second home to have access to Philadelphia and other in the Northeast Cities for both business and pleasure. 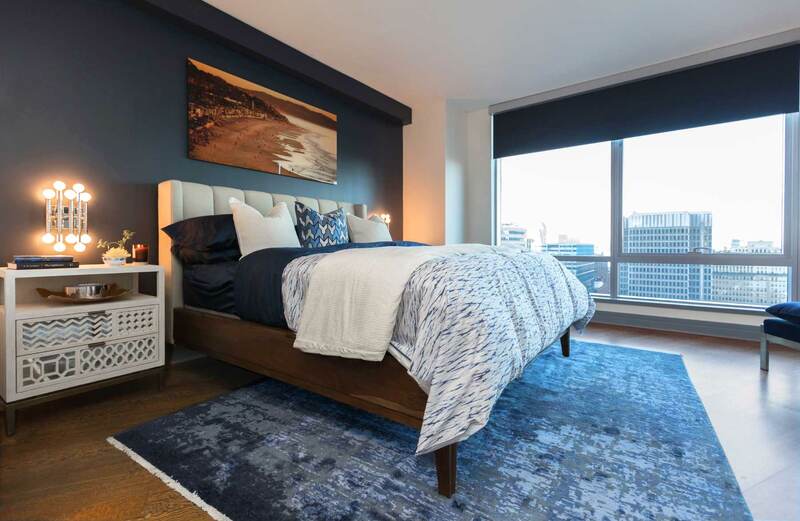 The unit’s interior design is meant to give the residents an opportunity to relax in an elegant space with modern solutions that work in harmony with the amenities of the Ritz-Carlton experience. 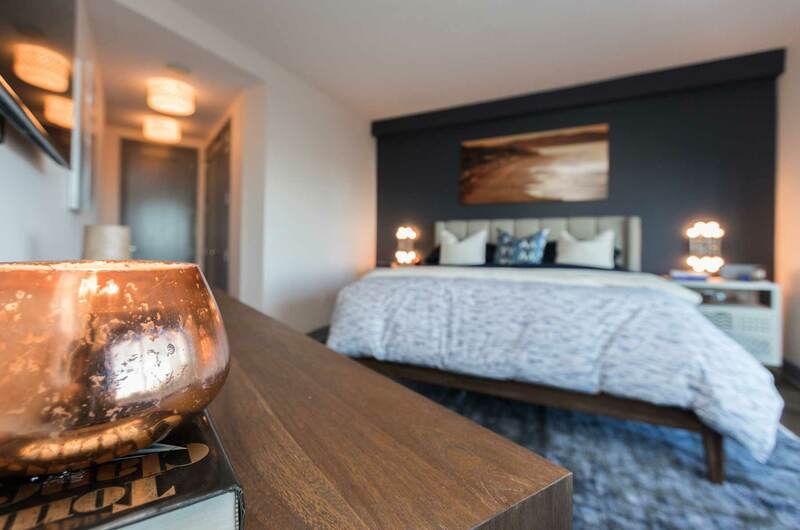 The Philadelphia design company incorporated warm wood tones throughout to create warmth while using contemporary elements like glass, chrome, and antiqued mirror to keep the design modern and luxurious. 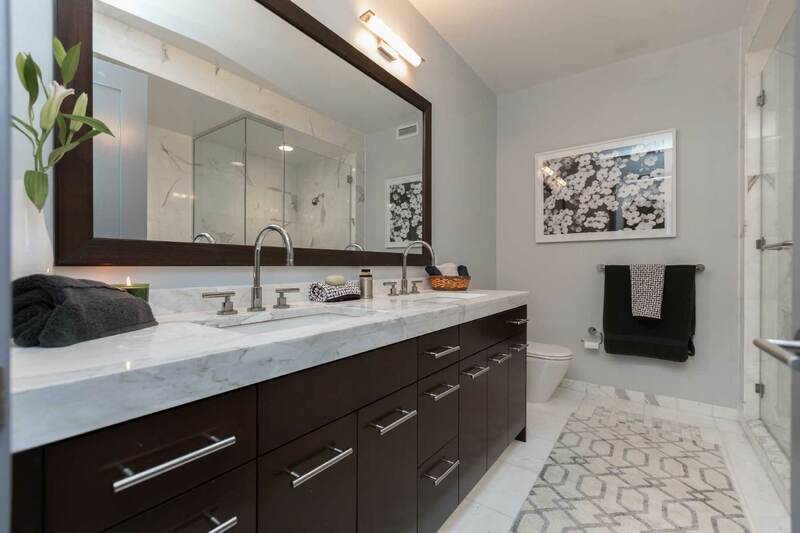 The homeowner’s first words to the design team were, “We want modern”, and modern is most certainly what Henck Design gave them. 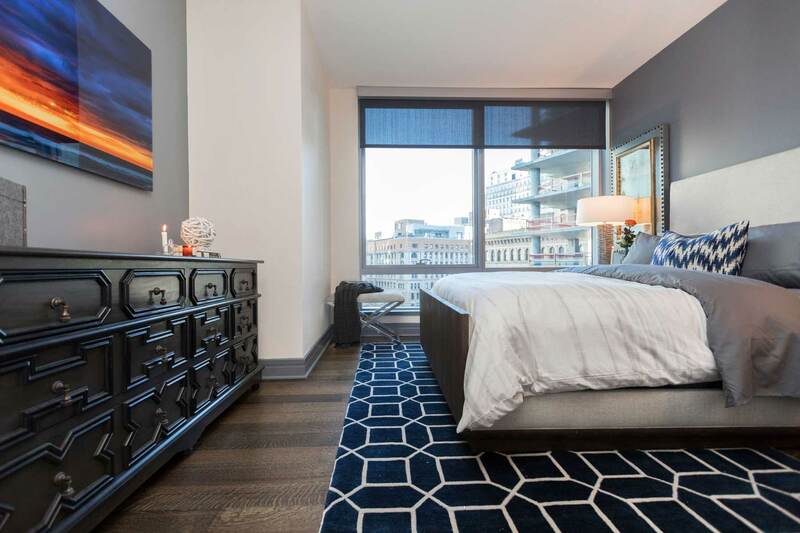 There is a very clean and calm energy in the space that makes for a soothing escape from the chaotic city streets just a few elevator stops below to Penn Square.